We know that leading a student organization is a dynamic and exciting challenge. That’s why SORC hosts a variety of Student Organization Leadership (SOLiD) workshops throughout the academic year to empower you to achieve your leadership potential. Participating in these training sessions can help your group earn points for the SORC Rewards program! *Required for Presidents and Business Managers of undergraduate groups holding fall elections, those who missed the fall training session, and those from new organizations approved in Fall 2018. Come learn about SORC services, updated policies, and basic financial information! Attendance is mandatory for groups to remain active this semester. Register for your session today. 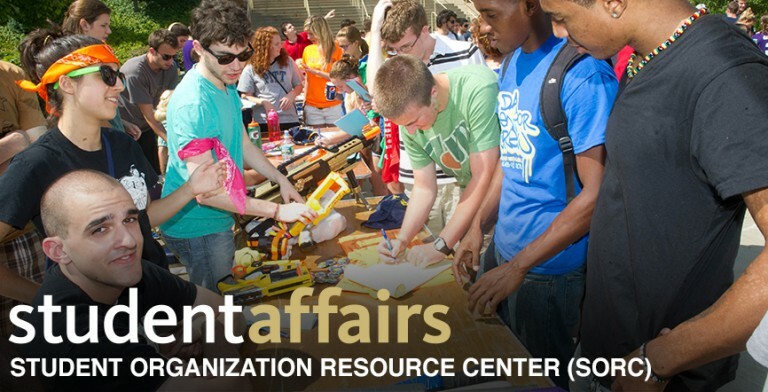 Are you interested in registering a new student organization with the SORC? Learn everything you need to know about SORC and university policies and procedures during this presentation. Student orgs who are interested in registering during the February 2019 New Organization registration period MUST attend one of these workshops in order to qualify for registration status. Register today for a session. Policies surrounding contracts can be a little daunting. Learn the ins and outs of the contract process so that you can effectively plan activities and programs for your organization! Register today for a session.